Internships are a vital part of preparing yourself for your future career. They give you real-world experience in your field of study, challenge your skills, and prepare you for post-grad life. 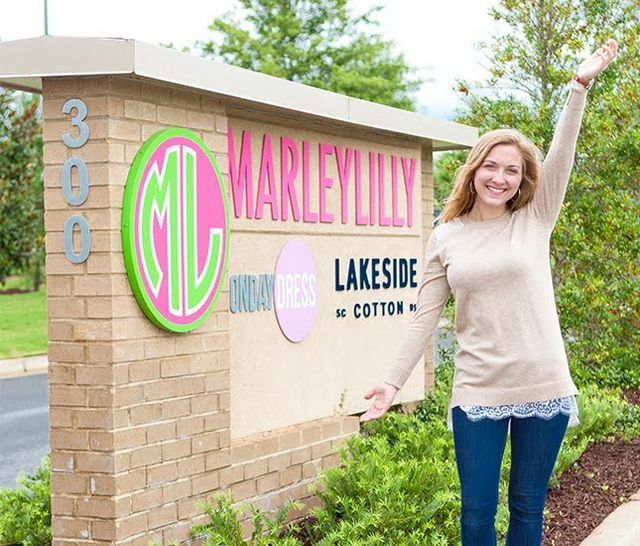 This summer I have had the privilege of being the Social Media and Marketing Intern for Marleylilly. Throughout this summer, I have had the opportunity to put together weekly blog posts, create content for Instagram Stories, style flat lays, create social media captions and more! But what is more important than what you have done during an internship, is what you have learned. The knowledge that you gain and the things that you are taught help shape and challenge you to be the best career-women that you can be! 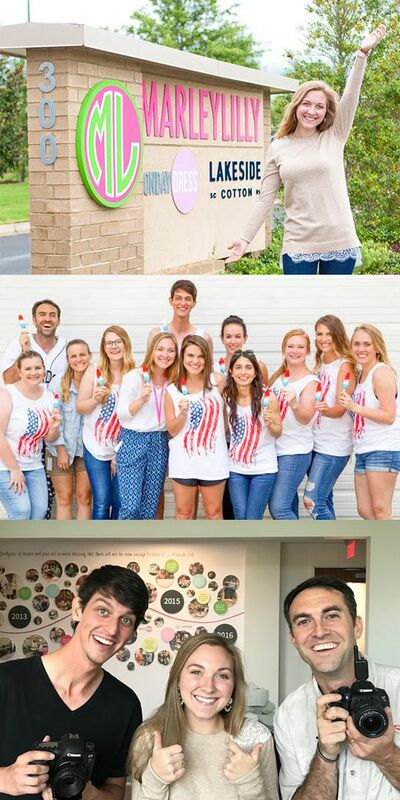 So without further do, here are 10 Things I Learned from my Marleylilly internship! 1. Be curious and don't be afraid to ask questions. I believe that curiosity is the key to success. I learned that asking questions benefits your co-workers by potentially saving them from fixing an unintentional mistake or having to do more work on their end. It is better to ask than to assume. Asking questions also shows that you are interested and that you recognize you have a lot to learn. There will be times when you are not given detailed instructions and it might take you asking questions for you to fully understand the assignment or critique. Long story short, it does not hurt to ask! 2. Know the companies products. If you work in retail, then you know this is the first step in excelling at your job. I learned to always know when a product is launching, double check to see if it is in stock, and know what products are your favorite (see my fave Marleylilly here, here and here). This will make you a more well-rounded and knowledgeable employee. Plus, the more you know about the company and its products, the more ownership that you will take in your role! 3. Get to know your co-workers. Getting to know your co-workers and learning from their career experience is so valuable. They were once in your shoes and now have the opportunity to share their knowledge with young professionals. For example, I love photography and am always trying to learn more about it. During my first couple of weeks at Mareylilly, I quickly realized that I could learn so much from Marleylilly's photographers. Now, I am more knowledgeable about photography, such as fashion photography, and feel more confident in my own photography abilities. You never know what blessings you might miss out on by not striking up a conversation with someone. 4. Know where you want to improve and set goals for yourself. It is important that you recognize where you would like to improve so that you can set goals for yourself and move towards improvement. It is also a good idea to communicate what you hope to learn throughout your internship with your supervisor. This will better allow them to share their knowledge with you and potentially give you assignments that will challenge and strengthen your skills. At the end of the internship, reflect on your goals and see how much progress you made and how you strengthened your portfolio. 5. Complete projects ahead of the deadline. Not only does completing tasks keep you on top of things, but it also helps your co-workers and supervisors. For example, every week I would be assigned two blog posts, each with separate deadlines. I always made it my goal to complete them a couple days in advance so that my supervisor had enough time to proofread and critic my work when her schedule allowed. In addition, you could help the team with other projects when needed instead of cramming in your assignments and missing out on an interesting opportunity. 6. Look polished and presentable. While dress/attire may look different for each place of employment, looking presentable is always the same. Make sure that your clothes are not wrinkled, hair is brushed, nails are touched up, socks match, and so on. For me, looking presentable is also about feeling presentable. I learned that on mornings where I had already made my lunch, laid out of outfit the night before, and set my alarm for a little earlier, I felt more presentable and less stressed about making it to work on time. Having these things already ready to go for the day gave me more time to gather my thoughts together for a productive day at work! 7. Realize what you do/do not like and learn use that for the good. There will be times where you are not jumping up down about a project or deadline and that is okay! In every situation, there is something to learn, even if it is not my favorite thing to do. It is also helpful to learn what you like and do not like so that you can better pinpoint your career goal and apply for future positions that best suit you. No job is perfect, but how are you going to manage your dislikes for the good of the company? 8. Be confident in what you are good at but know your place. As an intern, both of these can be a challenge. I think we all struggle with feeling inadequate or not good enough, but what you have to remember is that you were given this position for a reason — your supervisor knows your value and hired you on because they believe in you. Furthermore, there will be meetings that you will need to sit out or responsibilities that you will not be given. But remember, this is not an indicator of your competency or skill. You are here to learn and grow while also providing a lending hand to your co-workers. Be confident in your abilities but genuine and be teachable. How are we supposed to know our strengths and weaknesses if we do not ask for someone to point them out? Willingly asking those who are older than you for constructive criticism is a great opportunity for you to be challenged and humble yourself. Some of the best lessons that I have learned have been when I asked for feedback from a mentor. Receiving feedback also allows you to go into your next internship with an idea of how you can improve and new things that you can work on. Whether it is asking for feedback on a presentation, article, event that you organized, or on your overall job performance, it is important to recognize that there are things that you need to improve on so that you can reach your full potential and better yourself and the company! 10. Make connections and keep them. Whatever season of life that you are in, the importance of making job connections does not go away. I learned that the workforce is constantly changing so it is important that you learn to make the most of the time that you have with the people that you work with. For me, this looks like striking up a conversation with them about their past work experience and getting to know them. Throughout my internship this summer, I was constantly meeting people with varying career experience so it is important to make a connection and stay connected with them through LinkedIn. You never know who you might make an impression on by simply asking them about their career and job experience. At Marleylilly, I have discovered more about myself and am even more sure that the creative field is where I am called to be. One of my major joys that Marleylilly has given me is the chance to express myself and my creativity through blog posts and share my thoughts you with, our readers. While I am sad that my internship has come to a close, I am so thankful for the wisdom, experience, friends, and blessings that I received at Marleylilly. As always, peace, love, and monograms!